The Kobo Glo and Cybook Odyssey HD with Frontlight mark the pinnacle of the current generation of e-readers that let you read in the dark. 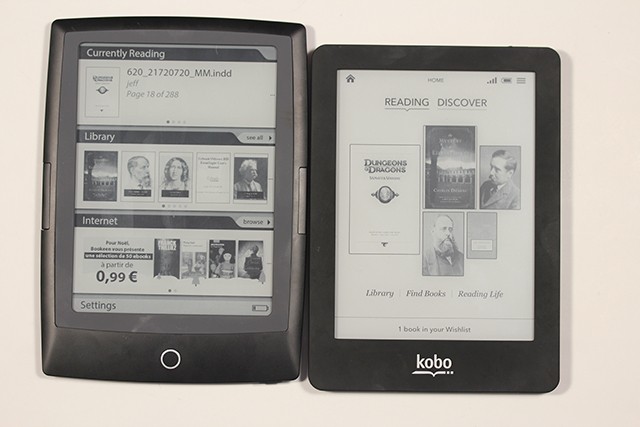 Kobo is based in Canada, and Bookeen dwells in Paris, France. Both of these models bring totally unique things to the tablet that could be the deciding factors between purchasing either of these digital readers. Today, we check out the nighttime reading experiences between these two readers. We will show you the entire brightness scale and give you our tips on how to optimize the different levels of illumination. We then dive into a classic ebook and see how they stack up against each other with reading and augmenting things such as fonts, text, and other factors.